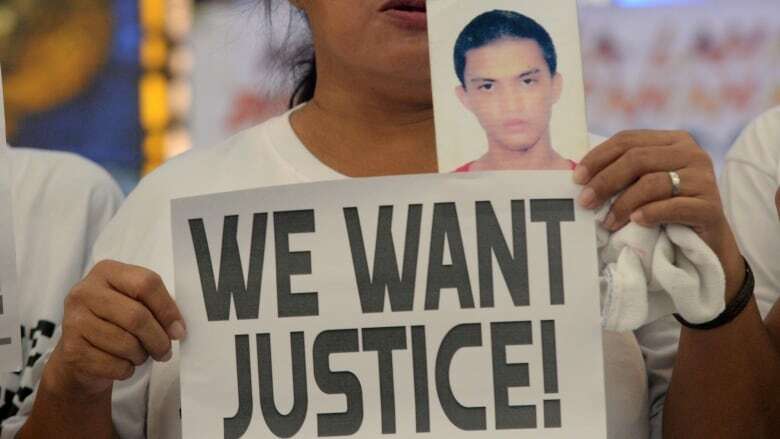 Relatives of several people slain in the Philippine president's anti-drug campaign are asking the International Criminal Court to prosecute him for alleged crimes against humanity. Relatives of several people slain in the Philippine president's anti-drug campaign are asking the International Criminal Court to prosecute him for alleged crimes against humanity, in the second such request for a ruling on thousands of deaths that have occurred during the crackdown. Lawyer Edre Olalia said a 50-page complaint against President Rodrigo Duterte was sent to an ICC prosecutor by email. It accuses Duterte of ordering, inciting or tolerating the drug killings from the start of his presidency in mid-2016 to this month, Olalia said. The Duterte administration said it expects the effort to fail. 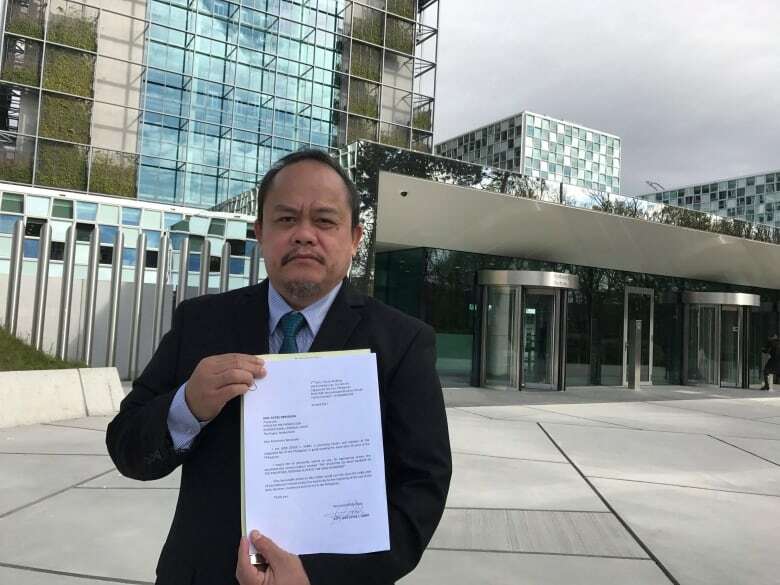 A similar complaint against Duterte was filed by a Filipino lawyer before the ICC last year and is currently being examined by a prosecutor. It focuses on killings during an earlier crackdown by Duterte when he was mayor of southern Davao city. 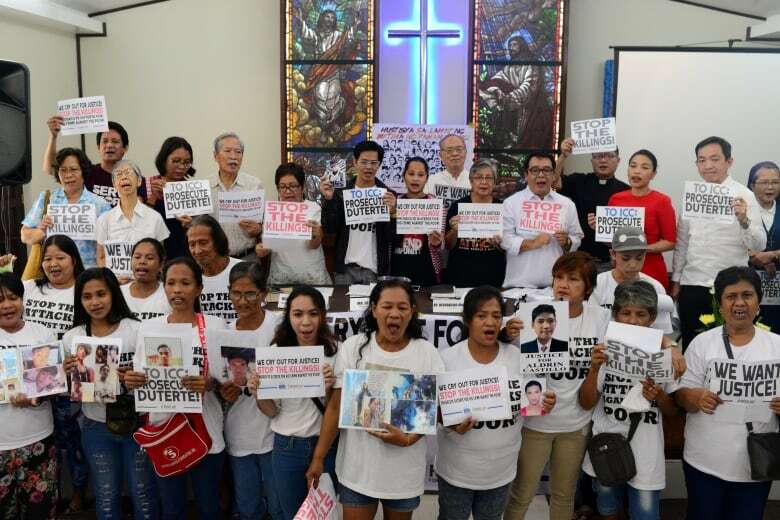 In their complaint Tuesday, the parents, sisters and wife of eight slain drug suspects seek an indictment of Duterte and reparations for the deaths that occurred during police anti-drug raids. The complainants also include a nongovernment group that helps families of victims, and are represented by a legal group, the National Union of Peoples' Lawyers, led by Olalia. "It is our hope that with the court taking jurisdiction of herein complaint, it may force President Duterte to re-examine, if not abandon, his distorted notion of mass murder to solve the country's drug and crime problem," the complainants said. "The intervention of the ICC will save thousands more from slaughter," they said in the complaint, adding that instead of showing remorse Duterte had vowed to "continue his killing rampage" during a state of the nation speech last month in which he stressed the crackdown will press on "as relentless and chilling as on the first day it began." The international court, based in The Hague, receives many such communications about alleged crimes from around the world, and prosecutors are not obliged to open preliminary investigations based on them. The first complaint against Duterte, which was filed by Filipino lawyer Jude Sabio, is currently being examined by ICC prosecutor Fatou Bensouda. Prior to the filing of Sabio's information, Bensouda said she was "deeply concerned" by reports of killings in the Philippines, adding that statements by "high officials" in the country "seem to condone such killings." Duterte, a 73-year-old former government prosecutor, denies condoning extrajudicial killings but has openly threatened drug dealers with death. "Remorselessly and incorrigibly, President Duterte's statements are a command to kill," the complainants said, citing his offer of bounties for drug suspects and law enforcers who profit from drug crimes. Duterte has moved to withdraw the Philippines from the ICC, but the court has said the move would not affect Bensouda's preliminary examination. The Philippine Supreme Court opened a hearing Tuesday on a petition contesting Duterte's decision to withdraw from the ICC. Newly appointed Chief Justice Teresita de Castro, who took over the judiciary's leadership after helping to oust her predecessor, presided over the hearing. Presidential spokesman Harry Roque said the new effort to bring a case against Duterte to the ICC "doesn't mean anything," because the international tribunal could not acquire jurisdiction over the president unless it is proven that Philippine courts are unable or unwilling to hear such complaints. Official police pronouncements place the number of suspects killed in police-led anti-drug raids at more than 4,500 since Duterte took office in June 2016. International human rights watchdogs have cited far higher death tolls.